Kia has unveiled its second-generation Soul EV, which launches in 2019 and will bring increased power and range. Debuted at the Los Angeles Auto Show, the new model is built on the same architecture with an evolutionary design but features bigger changes when it comes to the powertrain. This uses a new 64kWh battery, also seen in the Hyundai Kona Electric and due next year in the e-Niro SUV as a higher-power option. Range details for the Soul aren’t due until early 2019 but Kia said it would bring “significantly less need for daily recharging” – the e-Niro has already been confirmed to offer an official 301-mile range compared to 300 miles for the Kona Electric. The new battery is likely to bring a significant improvement to the current 30kWh pack, which itself was an upgrade for the 2018 model year Soul, increasing range from 93 to 111 miles compared to the 27kWh for the old model. The 64kWh battery pack is combined with a new electric motor, producing 201bhp and 291lb.ft, compared to 109bhp and 210lb.ft for the old model, and bringing improved performance. Kia also said that handling and driving dynamics are much improved. Four drive modes are offered – Eco, Comfort, Sport and Eco+. As well as power, these also control the level of regenerative braking on offer, air conditioning and heating settings, and enable drivers to set speed limits to help manage operating efficiency in different driving conditions. Drivers can control the level of regenerative braking using the steering wheel mounted paddle shifters, with four levels on offer, and there’s also a ‘Brake and Hold’ system that can bring the car to a complete stop. The smart regenerative braking system can also adjust levels based on a vehicle being detected in front of the car. The new Soul EV will also come with a Combined Charging System (CCS) DC fast-charger fitted as standard. In-cabin technology includes a ‘shift-by-wire’ rotary shifter and a 10.25-inch colour touchscreen for the infotainment system with rear-view monitor and parking guidance. Apple CarPlay and Android Auto integration as well as Bluetooth wireless connectivity with voice recognition. Driver assistance features available, depending on market, include forward collision warning, forward collision-avoidance assist, lane departure warning, lane keeping assist, driver attention warning, smart cruise control with stop & go, blind spot collision warning, rear cross-traffic collision warning and reverse parking distance warning. An updated ‘UVO’ telematics system brings alerts on battery and charging status, real-time charging station updates and scheduled charging functionality, while also enabling owners to plan a route or road trip with waypoints, and send it directly to the Soul EV’s navigation system. 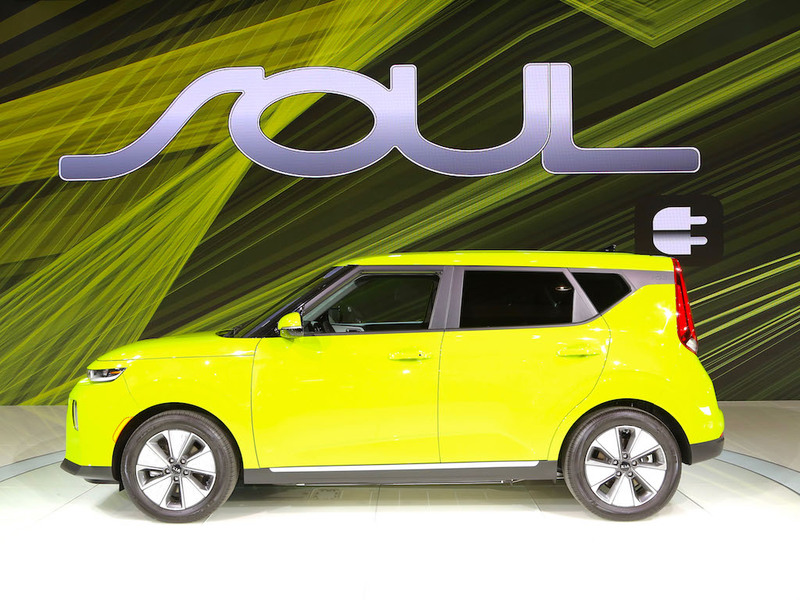 The new Soul EV goes on sale in the US and Europe in the first half of 2019, with details still due on the UK on-sale date as well as pricing and spec.